Follow the instructions below based on your operating system. 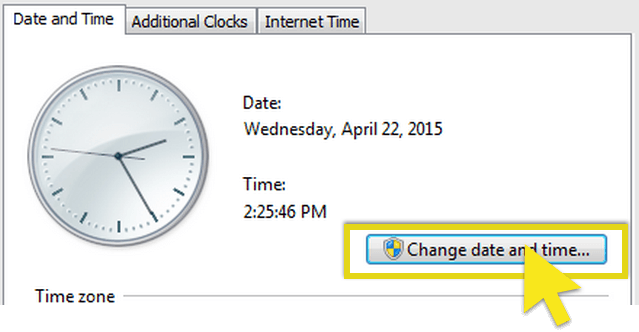 Double-click the Date and Time display on your task bar, then click Change date and time settings. 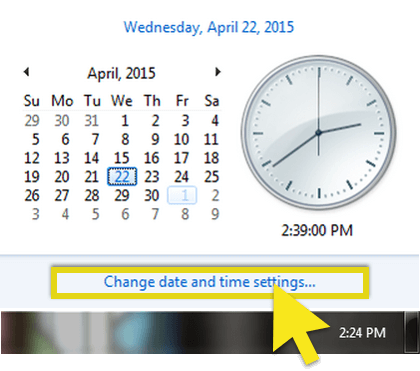 In the Date and Time tab, click Change date and time…. If you’re prompted for an administrator password or confirmation, enter the password and provide confirmation as required. 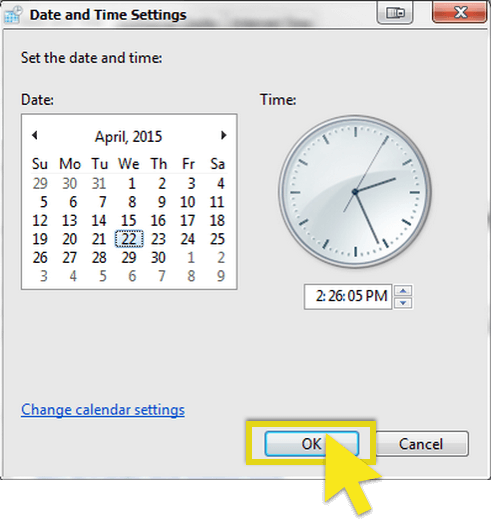 In the Date and Time Settings dialog box, update your time to the current date and time, then click OK. 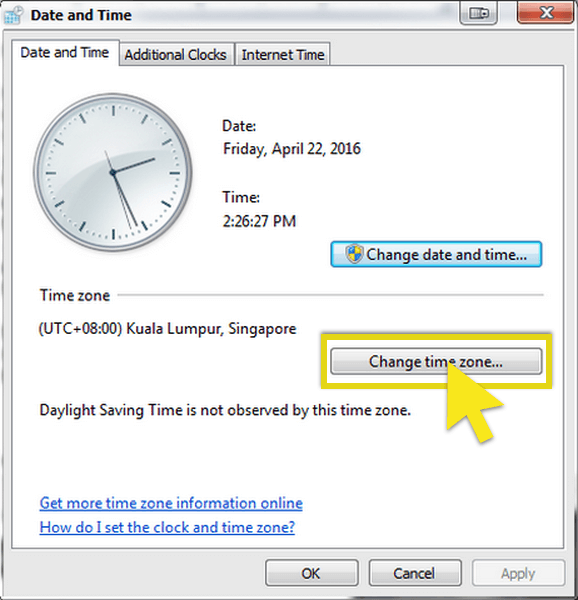 If you need to change the time zone, click Change time zone… , select your current time zone in the drop-down list, then click OK. 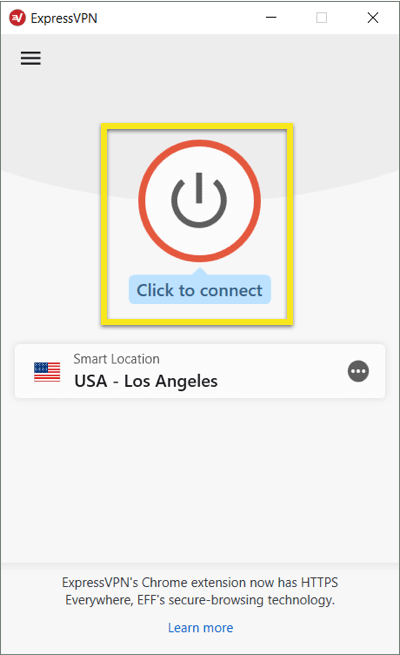 Restart ExpressVPN and connect to a server location. 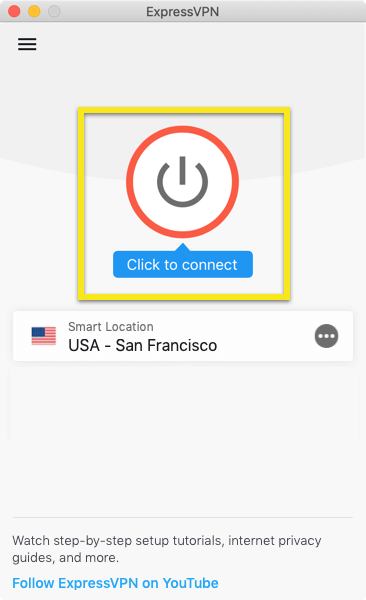 If you cannot connect to a server location after restarting ExpressVPN, re-install ExpressVPN. You do not need to uninstall the app first. Simply run the installation program again. 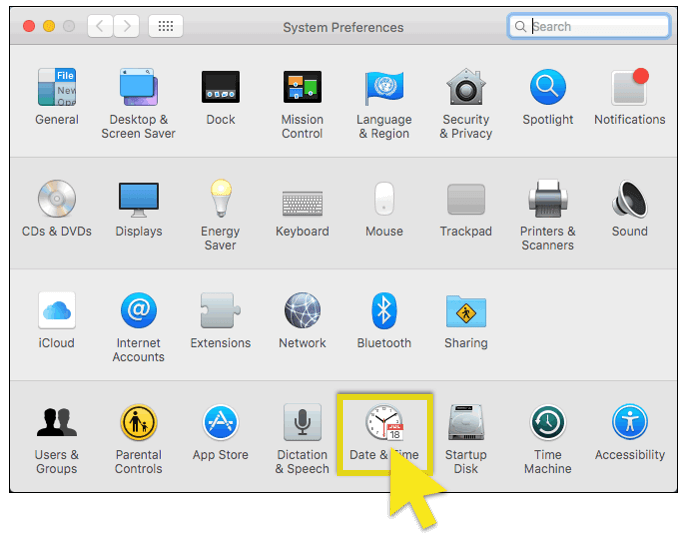 From the Apple menu, open System Preferences, then click the Date & Time icon. 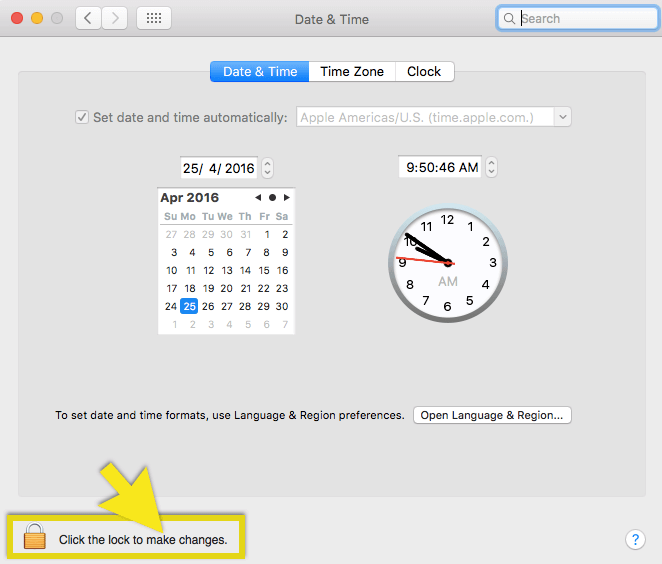 Click the closed padlock icon at the bottom of the window and enter an administrator name and password to enable changes to your date and time settings. 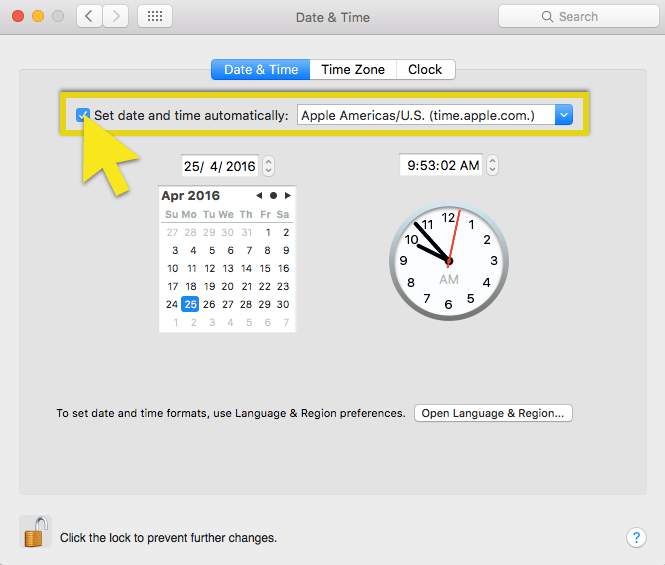 Select Set date and time automatically: to set your date and time according to one of Apple’s Network Time Protocol (NTP) servers. You can also select the time zone specific to your location. 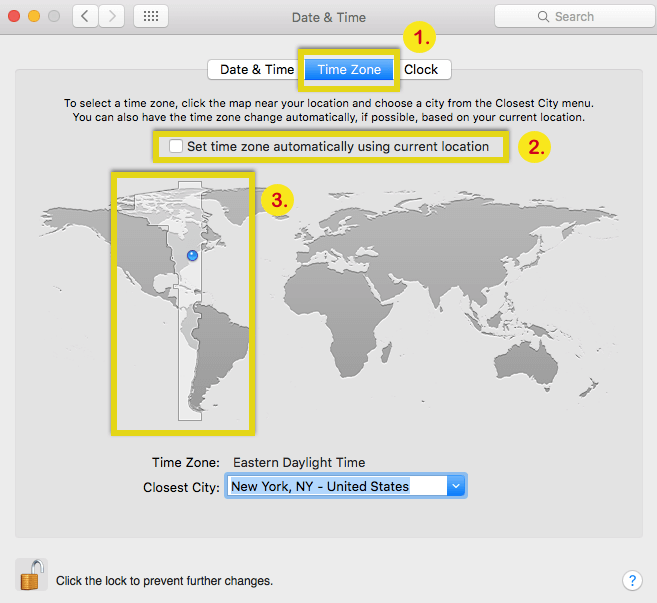 To do so manually, go to the Time Zone tab and uncheck Set time zone automatically using current location. Select your geographic location, then exit the window.